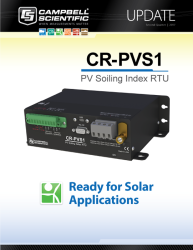 In December 2014, Campbell Scientific introduced the CRVW3, a datalogger designed exclusively for vibrating-wire measurements. It uses our patented vibrating-wire spectral-analysis technology (VSPECT) to deliver the most accurate measurement for vibrating-wire sensors. These sensors benefit a wide variety of structural, hydrological, and geotechnical applications. The radios are license free, provide robust links, and consume little power. 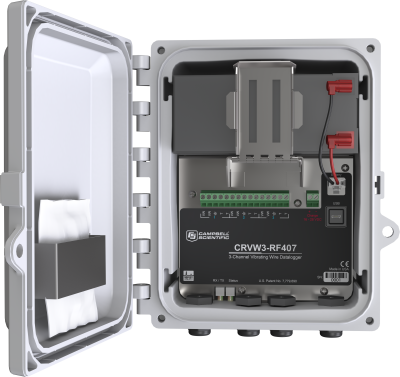 With the embedded radios, the wireless communication system requires a smaller number of external peripherals, which simplifies installation and minimizes costs. The radios also reduce the risk of lightning damage because there are fewer exposed cables. Campbell Scientific is committed to continually improve our dataloggers to better support our customers' needs. The new radio options for the CRVW3 are an example of this commitment.